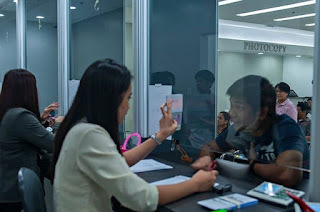 Applicants who have the habit of not appearing on the date of their appointment for passport application with the Department of Foreign Affairs (DFA) will now be sanctioned. Not with cash penalties though, but with a suspension of their chance to seek for another appointment. DFA Secretary Jose Rene Almendras warned that beginning June 1, 2016, those who do not show up on their appointment for passport interview cannot re-apply for 30 days. The new ruling is meant to discourage people who regard their passport appointments as unimportant. According to DFA statistics, almost half (47%) of people who have obtained passport appointments do not show up on their scheduled slots. At present, about 15,000 Filipinos apply for passports daily. Almendras said that Filipinos may be taking these appointments for granted because no reservation fees are required. No cash penalties are also imposed for failure to appear on the appointed time. With the new ruling, Almendras hopes that the queue for passport appointments will be unclogged. It may also address the current complaints that it takes about two months for one to get a slot for a passport application interview.